Please take a few minutes to read and complete this application. Please answer each question completely and honestly. We will not process incomplete applications, so please do your best to answer all of the questions on this application. The information you provide is confidential and will not be used for any other purpose. If outdoor, will it have proper shelter? If yes, what type of shelter will be provided? If no fence is present, how will you contain/exercise your pet? How did you hear about our adoptive pet? Please read the following CAREFULLY and understand that by electronically signing below, you comprehend and agree to all points. I understand that all vaccinations, testing, and vet care from the time I take my new pet home will be my responsibility and that the Animal Shelter of Northeast Nebraska will not be liable for any present or future illness or any other needs of my adopted pet. I understand that if my application is not approved, it is not for reasons of personal bias, but for the welfare of the animals and part of the policy set forth by the ASNN's board of directors. I understand that by adopting a pet from the ASNN I am agreeing to allow my personal information to be used to register the microchip associated with the pet(s) I adopt. 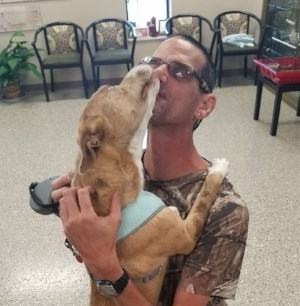 Thank you for adopting a homeless pet!